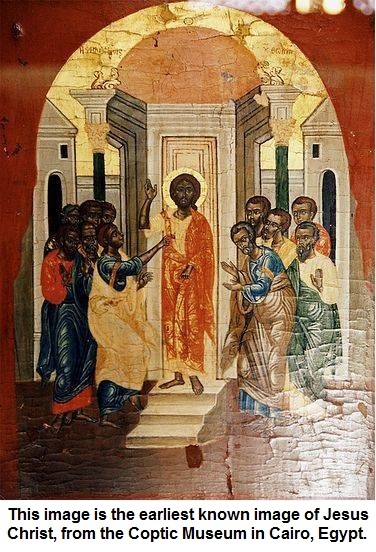 This image is the earliest known image of Jesus Christ, from the Coptic Museum in Cairo, Egypt. I just want to point to a gross big mistake and wrong assumption that Jerusalem, Solomon, and the Temple were originally in Aramaic land. In fact, Jesusianity is the genuine teachings of Jesus which is different from Christianity. 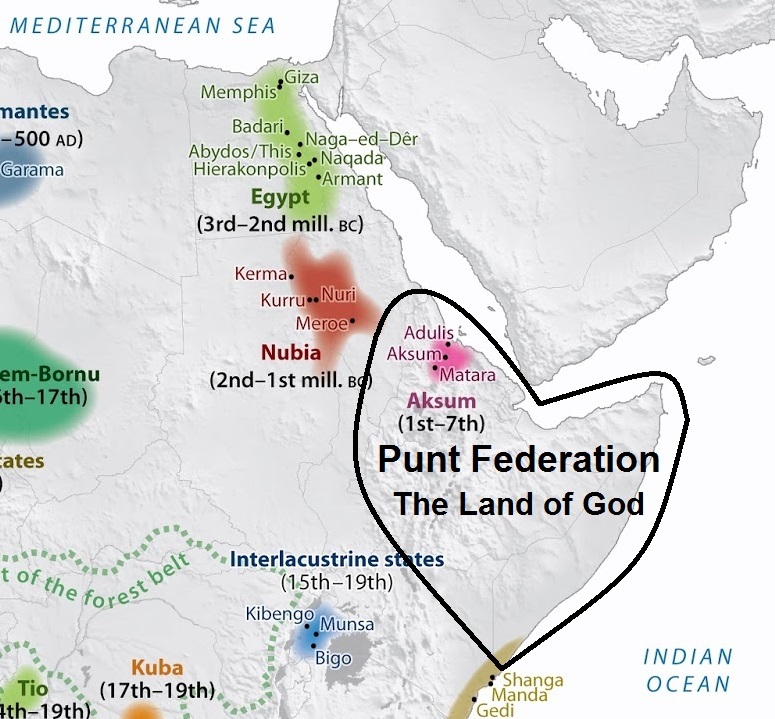 The truth is they were in Afar Triangle and the journey of Queen of Sheba (Makeda), her son Menelik and the Arc of the Covenant were just few hundred miles long, and never went via Egypt or Arabia. Another gross mistake is the assumption that Christianity was introduced to Ethiopia. I believe Yeshua was ethnically Puntite. He was sent to the lost sheep of the house of Israel only, who are also ethnically from the lands of Punt. Jesus and all the Israelites are brown Africans, while the Jews are white Central Asiatics. Therefore, Christianity is a local indigenous code of Punt and it is only a revival of the teachings of Enoch, Abraham, and Moses. Christianity was never meant to be global or to deal with nations other than those of Punt despite of it universal values. So, saying that Christianity was introduced to Ethiopia is illogical. Punt is like Enoch who is more exalted than the great Abraham. I guess Armageddon will be in Punt and Jesus and the might of God will show there. Love you Punt; God blessed you. A good book referencing a similar theory is by Ashraf Ezzat ” Egypt knew no Pharaoh’s nor Israelites”. Reading your bio you say your a secular humanist. The bible says you must be born again to enter/see the Kingdom of God. Salvation came from Heaven via Jesus the Christ thru the line of David fullfiling the promise made to Abraham. The New Jerusalem is spiritual in nature as are the promises of the New Covenant. Gods spirit dwells in the heart of man. Those who acknowledge Jesus is the Son of God , died for the sins of mankind was barried and rose the third day. There is no condemnation for those who are in Christ Jesus. If you confess with your mouth the Lord Jesus and believe in your heart that God ( the Father) raised him ( Jesus) from the dead thou shall be saved. Religion is much bigger and older than Earth and creation. I believe in a single Universal religion and a multitude of local messages or laws. Jesus was a universal prophet and an Ethiopian messenger.